A major regeneration of run-down buildings in the Jewellery Quarter which will create almost 200 new jobs has been brought forward by University College Birmingham as it continues to overhaul its campus. The scheme in Charlotte Street and George Street forms phase two of UCB&apos;s £90 million campus redevelopment there which has already seen new facilities opened in September 2014 called McIntyre House. The next element will comprise almost 250,000 sq ft of lecture rooms, a restaurant, real-life training rooms and a sports hall in two newly constructed buildings alongside 248 parking spaces via a multi-storey car park and courtyard. There will be partial demolition of 9 Charlotte Street and 12 George Street, better known as the former home of printer James Cond whose branding is still clearly visible on the properties. Their well-known façades and a corner stair turret will be retained as part of the project while the neighbouring building at 21 George Street, the former home of air pollution control company Lodge Cottrell, will be entirely demolished. In addition, Holland Street, currently a cobbled cut through between these two buildings, will be closed to vehicles and covered and there will be space for 220 bikes. Whitmore Arm, the route of the former canal between George Street and Charlotte Street, will be opened to enable pedestrian and cycle access but will remain a private right of way. The new development is expected to create 150 full-time roles with a further 40 jobs for part-time staff. UCB, whose origins date back to the late 1800s, caters for around 8,000 students. The application site is in the Jewellery Quarter Conservation Area and sits close to several listed properties but none of the buildings on the application site are listed. A statement from UCB said: "The university continues to work closely with local authority planners and conservation officers to ensure the modern phase two design respects the architectural history of the Jewellery Quarter. "A significant pre-planning application consultation has involved local residents, businesses, the council&apos;s conservation and heritage panel, conservation architects, the Jewellery Quarter Development Trust, the Design Council CABE, Historic England, Birmingham Civic Society and Birmingham Victorian Society. "University College Birmingham is committed to improving the education, employment opportunities and life chances of all students and is funding the entire project from within its own reserves. "Phase one and phase two complement the Birmingham Big City Plan and will provide a strategic stopping point along the revitalised urban corridor between the £500 million Paradise Circus redevelopment and the Jewellery Quarter." Renowned Birmingham practice Glenn Howells Architects is working on the designs for the planning application which has just been lodged with Birmingham City Council. Phase one of the project saw 81,720 sq ft of teaching facilities and a café development on the corner of Holland Street and Charlotte Street where it replaced unoccupied buildings and a car park. 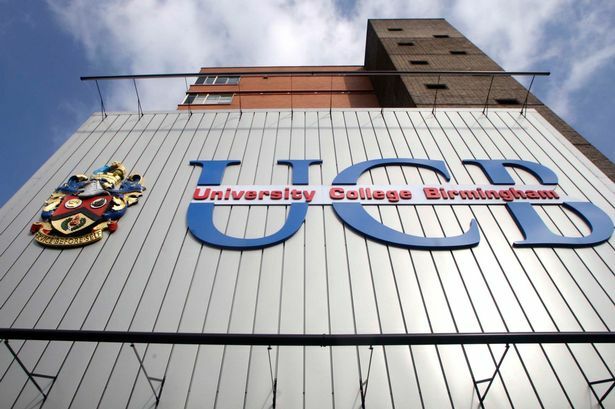 UCB also has teaching facilities in nearby Summer Row and Newhall Street.